With spring finally here people from across North America will be cleaning, traveling and getting out of the house to enjoy the warmer weather. According to Steve Kolobaric at Weiser, one of Canada’s most trusted lockset manufacturers, there are several security tips that everyone should be aware of this season as they take in the springtime temperatures. Weiser recommends homeowners and renters follow these tips to ensure their properties are safe and secure as everyone breaks out of winter hibernation. Spring cleaning – If you’re tossing out boxes or packaging from items that you bought throughout the year, be sure to properly cut, stack and tie the cardboard together when you put it by the curb for recycling. Plopping the boxes for your 72” TV, Playstation and MacBook out in front of your house gives would-be burglars some tips on what they can find inside. Check for damage – Take some time to inspect your house and property once the snow and ice has melted. Check your windows and make sure they still lock properly, replace any burned out outdoor light bulbs and see if any fences or gates need to be fixed. 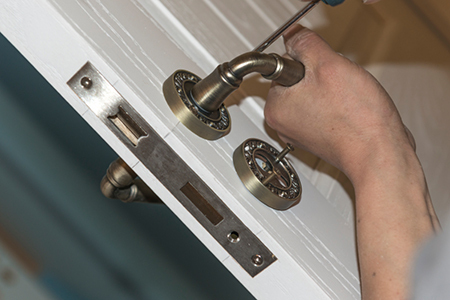 Upgrade your locks – If you haven’t changed your front or back door lock sets in years, spring is the ideal time to make the change. If you recently purchased your home, you have no idea who may have a key. Conversely, if you’ve been living there for years you may not remember who you gave a key to years ago. Take this chance to upgrade your security to a Weiser Kevo, which allows your smartphone to act as your key or consider a SmartCode 10 Touch, which has advanced touchscreen technology that eliminates the need for a key. Spring break – Ask a neighbor to check on your property while you’re gone if you plan on going away this spring. Simply collecting your mail, sweeping (or shoveling) your walkway and even occasionally parking a car in your driveway will make it look like someone is home. Potential burglars like to target unoccupied homes. Lock up – Spring and summer means more time spent outside but don’t forget to lock your front door when you’re not in the house. If you plan on working in the backyard or just popping over to visit a neighbor, lock your door. Most break-ins occur through an unlocked door! If you’re airing your house out during a spring-cleaning session, be sure to lock your windows when you close them, especially any on the main floor.